Still looking for that final epic gift? Need something awesome for your mantel? Easy. Get one of these sweet swords modeled after the descriptions in the Game of Thrones book. 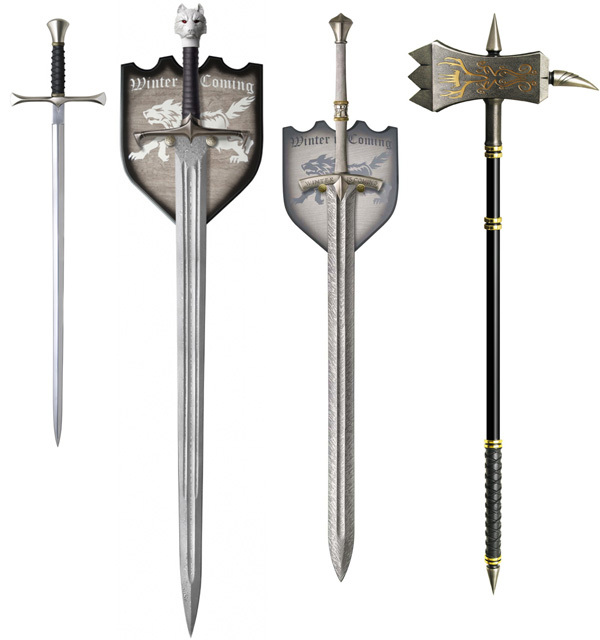 The swords (and warhammer) are officially licensed and made from the highest quality materials by Valyrian Steel. They’re selling out quickly–so get your order in now!